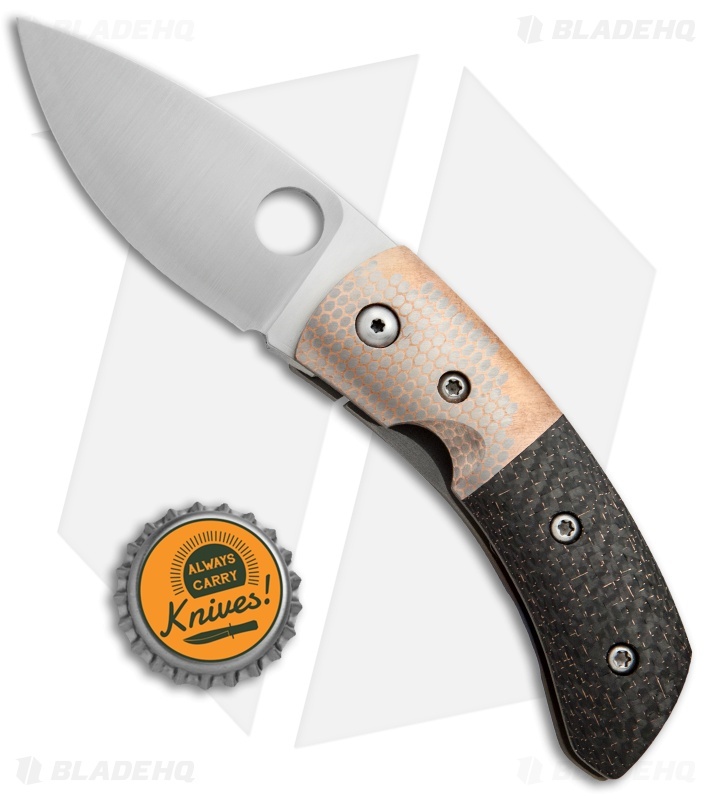 The Chinese knife is Filip's version of Bob Lum's Chinese folder. 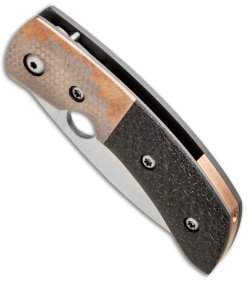 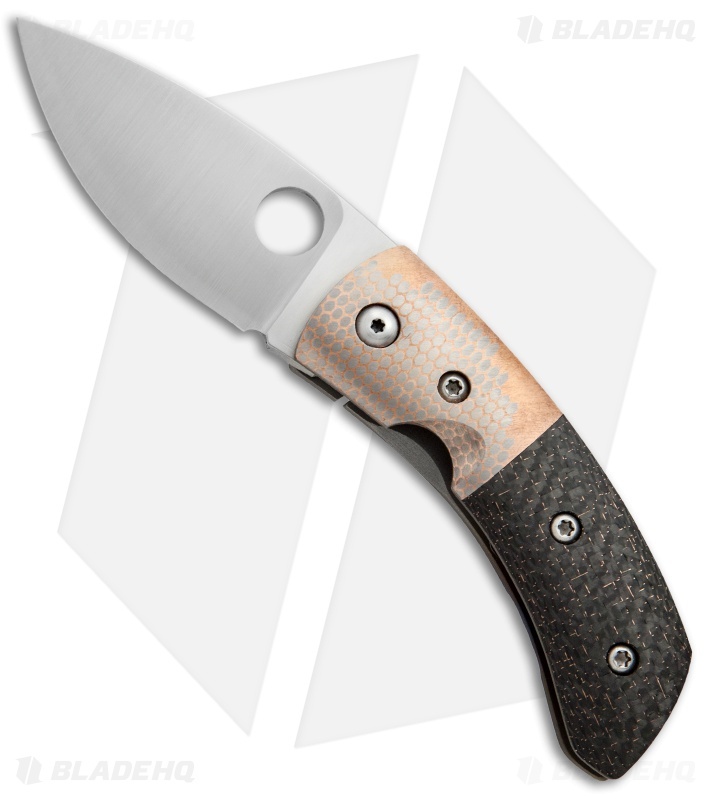 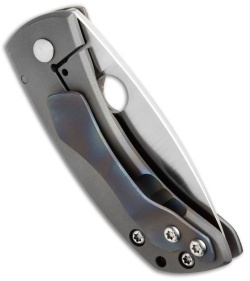 This knife has a satin finished, flat ground RWL-34 blade with a thumb hole (licensed from Spyderco). The handle has a Lightning Strike Carbon Fiber scale, Superconductor bolster, a copper backspacer, and titanium frame lock back with heat anodized pocket clip.